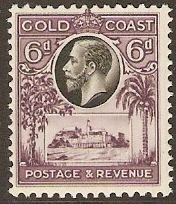 Home :: Gold Coast :: Gold Coast 1911-1936 :: Gold Coast 1913 6d Dull and bright purple. SG78. 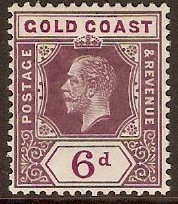 Gold Coast 1913 6d Dull and bright purple. SG78. Lightly mounted mint 1913 6d Dull and bright purple. SG78.